Many men are overwhelmed with the idea of bringing their first date to a bar. Should he shout at the bartender? Should he wave his arms wildly in order to get noticed? How can he get to the bar and ask for a drink sans the shoving? Fear not! Here are our handpicked suggestions to make the job easy for you. If you want to enjoy an intimate conversation with your friend or special someone, then do not go to any popular bar on a Friday night. The commotion and the loud noise of ongoing orders will make you and your company frustrated, and other patrons will be irritated by the fact that you are simply sitting there and taking up space. It is quite OK to sit for a while but do give others the space they deserve. There is always a reason that the garnishes are behind the bar. The lime slices and the maraschino cherries are not meant to be picked up! Also, it can be pretty much unsettling for any bartender to witness someone trying to reach over the counter. Unless, of course, he is a big fan of Justin Bieber’s hairstyle! But let us not digress. If your drink does not have enough punch, request the bartender for some more lime juice. If you are experiencing hunger pangs and wants a stuffed olive to eat, politely ask for one. If you help yourself, a bartender will not kill you, but he or she will not be elated also. 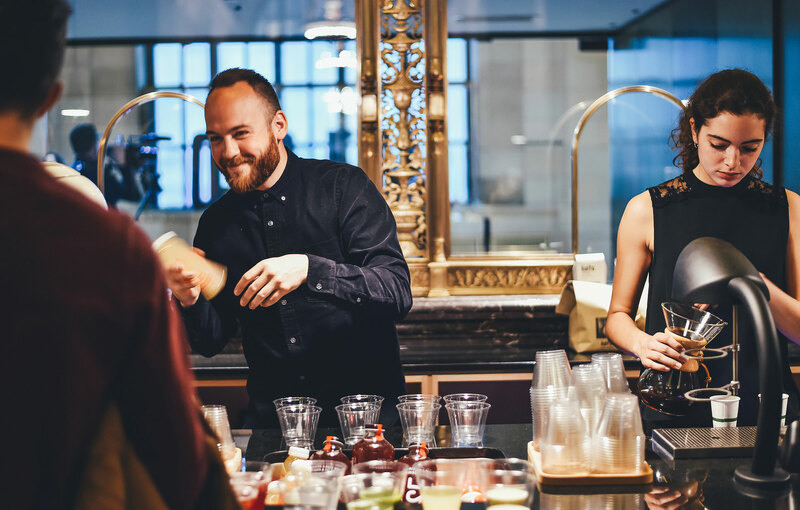 Most bartenders enjoy serving drinks, and they will not be annoyed if you ask for something complicated (provided they are equipped with the required tools and proper ingredients). Make sure that you have made your mind long before you reach the bar. 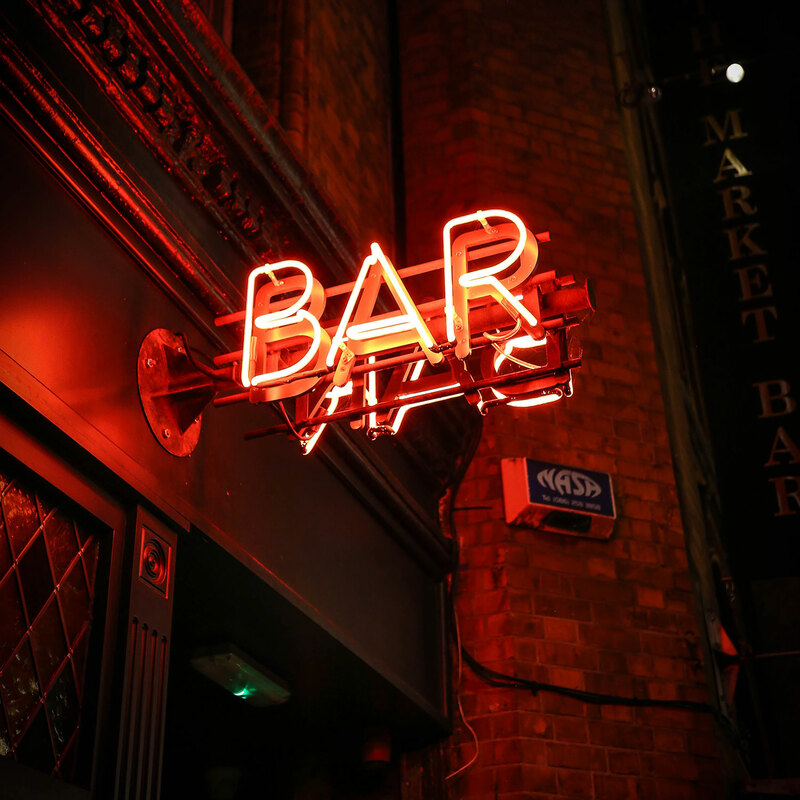 If it takes around ten minutes or more to grab the attention of the bartender and if the place is already crowded, do not merely stand there and ask your bartender to wait. It is OK to ask a question or two, but do zero in on the drink after that. Unless, of course, you are at some place that proudly boasts of mixology. If you happen to be at the Downhouse, Anvil, Bad News Bar, Mongoose Versus Cobra or any other cocktail-centric bar; the bartenders will be more than happy to demonstrate their skills and shock you with something unusual. But do not even think of doing it at the neighborhood pub. If you ask for “something sweet but not too citrusy with rum of gin though not dark rum and perhaps some club soda or a dash of bitters and some other herbs as well,” be prepared to be greeted with a beer and a shot. If the bartender turns out to be someone you know, do not start talking about your day. Order the drink, thank him with a tip, and be back to your seat. If he needs to speak to you, he will surely make that clear. Otherwise, leave your bartender alone. He will feel guilty if he cannot pay enough attention to you, and the fellow drinkers will also get irritated. The bartender is always ready to help the customers. If you stand there staring blankly, she will never understand your requirements. Just remember one simple thing – ESI! Maintain eye contact, smile, and look interested. A little wave will suffice and no need to gesticulate, yell or snap. Be polite and patiently wait for your turn. Many bars have free WiFi these days. It can be nice reading emails and unwinding on a Saturday evening with a beer. But once the bar starts to get filled by people, turn off your lappy. Some bars are barring WiFi access beyond six o’ clock in the evening to keep away laptop hobos. If there are empty seats, use it. Agreed, they make a tad difficult for people to rise and order, but those seats are not without a purpose. Leaning on the bar appears cool, and you do get ready access to alcohol. But that is like idling at the restaurant after a meal while there is a noticeably big queue of people waiting outside. Any bar that has got servers has a servers’ well too. It is the place where the bartenders keep all the drinks that people ordered. At times servers are also required to go behind the bar and to prepare their drinks. Always make sure not to block the entry to the servers’ well. This particular well typically sports garnishes and bar mats, and looks somewhat different than other places of the bar. Never put a chair in front of the well and sit there. Bartenders are pretty much same as the waiters. They are pretty often paid less than the minimum wage. Always remember to tip a minimum of one dollar for every drink you order, and even for cracking open a beer. For pretty complicated drinks, the rule of thumb is to tip a minimum of 20%. And if the bartender serves you free food and beverages, it is necessary to tip accordingly. According to a survey conducted by the TripAdvisor, the world’s best and worst tippers are the Germans and the Italians respectively! However, they also said that tipping is in the blood of the Americans and they do it irrespective of the fact whether those travelers are roaming domestically or internationally. Now we have a reason to drink!